Confusion reigns over exactly how many more closures Tube Lines needs to finish work on the Jubilee Line. Is it six weekends? Is it 28? Depressingly, no-one seems to know, and the prospect of more disruption looms large. Surely the time has come for clarity and for leadership. Sadly, both seem lacking. 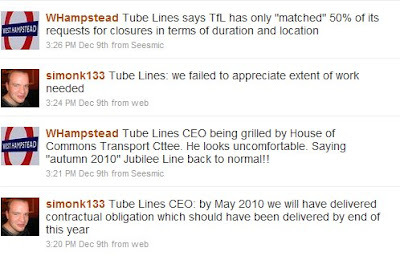 Despite both TfL and Tube Lines maintaining that their working relationship has improved, there is still no coordinated message. All parties were called before the House of Commons Transport committee during the week. Not that the results were especially enlightening or positive. An unscientific WHampstead poll asked what form people would like any additional closures to take. 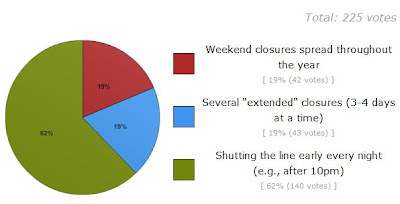 Weekend closures were marginally the least popular option. 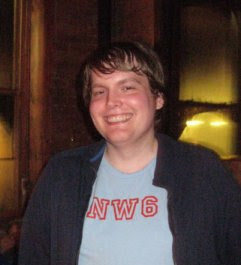 Of course whampers may not be representative of all users. See full write-up on blog. Darker Shores: Panto for grown-ups?